Qi is the Chinese word for “life energy”, Qi is the life-force energy that flows through all living things and it is this energy that connects us to nature, to all beings and to life on earth. Gong is the Chinese word for “work” thus Qi Gong means working with our life-force energy, learning how to control the flow and distribution of Qi though simple movements, posture, breathing and awareness to improve the health and harmony of our mind and body. When we are healthy our Qi flows smoothly through our body and our energy is clear. Blockages in our Qi can form as a result of poor habits, illness or emotional trauma and this can cause our Qi flow to become blocked or stagnant. Having a simple daily practice, or going to a class, is a way of working with the energy in and around your body. The art of qigong recognises that daily cleansing of the energy in the body by working with it, keeps the body in balance and removes stagnant energy; it can be thought of in the same way that you wash to clean the physical body, qigong cleans out the energetic body. For me it is more simple than this, qigong helps me to feel good, to feel at peace and to feel connected to something much greater than just me. When we feel good our body feels good and our stresses, illnesses and diseases become more manageable and easier to be with. 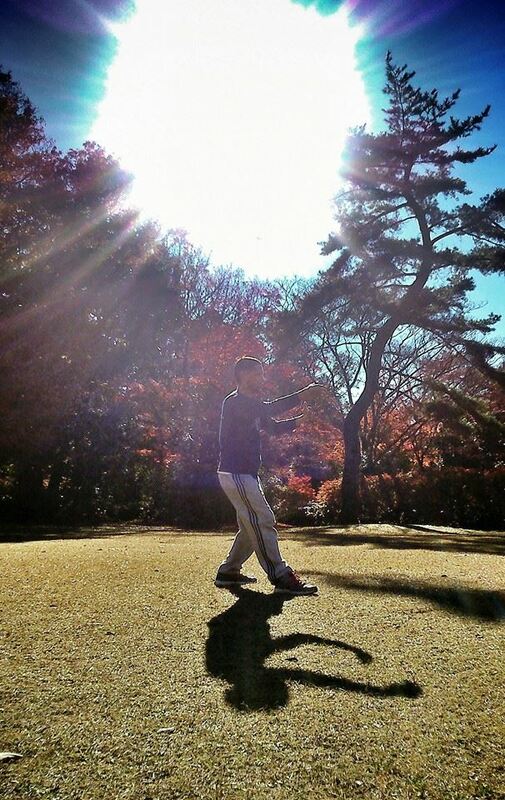 When I practice qigong I feel more relaxed and at the same time connected to everything that is around me. Physically it helps me to release tension and gives me more awareness of my body, alerting me to when I am straining or pushing myself unnecessarily. It helps me to stay in the flow and gives me a greater sense of peace in my body. In these classes I will be sharing a number of short Qigong practices including the Shibashi (Set one) Tai Chi/Qi Gong form as well as the healing form, breath work and meditations.